Webster University’s Department of Dance presents, “A Conversation with Sally Bliss,” the internationally renowned ballet dancer, coach and master teacher. Bliss will observe a ballet class and discuss her global career in ballet on Wednesday, Feb. 10, from 12-2:20 p.m. in the Jean and Wells Hobler Center for Dance. She will discuss her global career in ballet and in particular, her experience of working with Antony Tudor, one of the greatest choreographers of the 20th century. The presentation is made possible through the Faculty Speaker’s Committee, the Department of Dance, and the Dance Club. The entire Webster Community and Greater St. Louis area is invited to attend. Her performance credits include the National Ballet of Canada, American Ballet Theatre, Joffrey Ballet, Metropolitan Opera, and New York City Ballet. 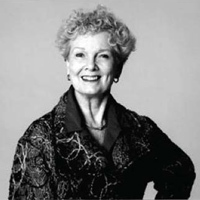 She co-founded Joffrey II Dancers in 1969 and subsequently served as the Artistic Director for the company till 1986. President Ronald Reagan appointed her for a six-year term to the National Council on the Arts (1986-1992). Her talk will include her experiences as a professional dancer and the amazing relationships one may forge as an artist. For more information on the Dance Club or the Department of Dance, email dance@webster.edu or visit the department website. Born in London, England, to Canadian parents, Bliss grew up in Canada and danced with the National Ballet of Canada from 1956 until moving to New York in 1962. She performed as a guest artist with the American Ballet Theatre, the Joffrey Ballet, and was a principal dancer with the Metropolitan Opera and New York City Opera. Read more about Sally Brayley Bliss here.